In recent years, attention to pharmacovigilance has gained momentum in developing countries, however awareness of, and policies or systems for pharmacovigilance in most developing countries still lags sharply behind developed countries. This article proposes different strategies to encourage the introduction and sustain the advancement of robust pharmacovigilance systems in developing countries. 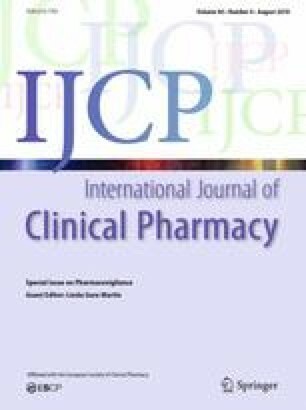 To this end, this article seeks to accomplish the ultimate goal of pharmacovigilance in a developing country context; ensuring patient safety and promoting safe and rational use of drugs. The author would like to thank Professor Maggie Huff-Rousselle for her contributions. Also, very special thanks go to Mahmoud Ahmed, Johannah Segarich, and all professors, staff, and colleagues at Massachusetts College of Pharmacy and Health Sciences University. World Health Organization. Minimum requirements for a functional pharmacovigilance system. http://www.who.int/medicines/areas/quality_safety/safety_efficacy/PV_Minimum_Requirements_2010_2.pdf. Accessed April 2016. Uppsala Monitoring Centre. The form of the form: examples and good practice in designing an ADR reporting form. https://www.who-umc.org/media/1481/creating-adr-report.pdf. Accessed March 2016. Therapeutic Goods Administration. Blue card adverse reaction reporting form. https://www.tga.gov.au/form/blue-card-adverse-reaction-reporting-form. Accessed April 2016. National Agency for Food and Drug Administration and Control (NAFDAC) official website, Nigeria. Regulations. http://www.nafdac.gov.ng/index.php/regulation/161-faqs. Accessed March 2016.
WHO Collaborating Center for International Drug Monitoring: Uppsala Monitoring Centre. VigiFlow. https://www.who-umc.org/global-pharmacovigilance/vigiflow/vigiflow/. Accessed Nov 2016. Strengthening Pharmaceutical Systems (SPS). Supporting pharmacovigilance in developing countries: the systems perspective. 2009. http://apps.who.int/medicinedocs/documents/s18813en/s18813en.pdf. Accessed March 2016. Egyptian Pharmaceutical Vigilance Center. EPVC newsletters. http://epvc.gov.eg/viewpage.aspx?Pid=6. Accessed Nov 2015. World Health Organization. WHO pharmaceuticals newsletter No. 6. 2012. http://www.who.int/medicines/publications/NewsletterNo62012.pdf?ua=1. Accessed April 2016. World Health Organization. WHO pharmaceuticals newsletter No. 6. 2015. http://www.who.int/medicines/publications/pharmnewsletter6-2015.pdf?ua=1. Accessed April 2016. Strengthening Pharmaceutical Systems (SPS) Program. Safety of medicines in Sub-Saharan Africa: assessment of pharmacovigilance systems and their performance. 2011. http://apps.who.int/medicinedocs/documents/s19152en/s19152en.pdf. Accessed Jan 2016. Council of Europe. The MEDICRIME convention. http://www.coe.int/en/web/medicrime/home. Accessed Sept 2017. The Global Fund. The global fund to fight AIDS, Tuberculosis and Malaria. http://www.theglobalfund.org/en/. Accessed Nov 2016.